On Sunday, as I was going through security at DIA, I saw a TSA agent help an elderly man who was struggling with his backpack. It was a busy morning and people were rushing to empty their bins and put their shoes back on, and the man was trying to quickly exit the security area but his backpack strap was tangled and he couldn’t get his arm through. The TSA agent reached over and lifted up the pack so that there was more room to maneuver and the man was able to put his pack on. Tears stung my eyes at this simple act of kindness between strangers. 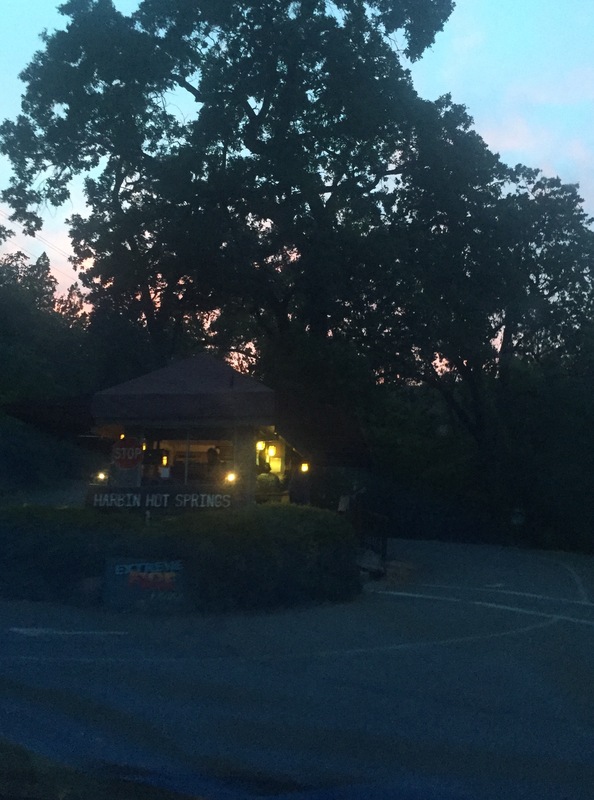 Last week I sat vigil with a man who was dying. I do this as often as I can, but what was different about this time was that he was conscious. Not just awake but aware. This was a first for me. It’s one thing to walk in as a complete stranger and sit with a person who is dying when they’re unconscious, but to walk in to somebody’s room when they’re alive and present seems presumptious at best and intrusive at worst. In that moment I had to push ego aside (“Will I be good enough?”, “What do I have to offer?”, “Who am I to be here?”) and say a prayer to be of service. To say he was gracious would be an understatment. 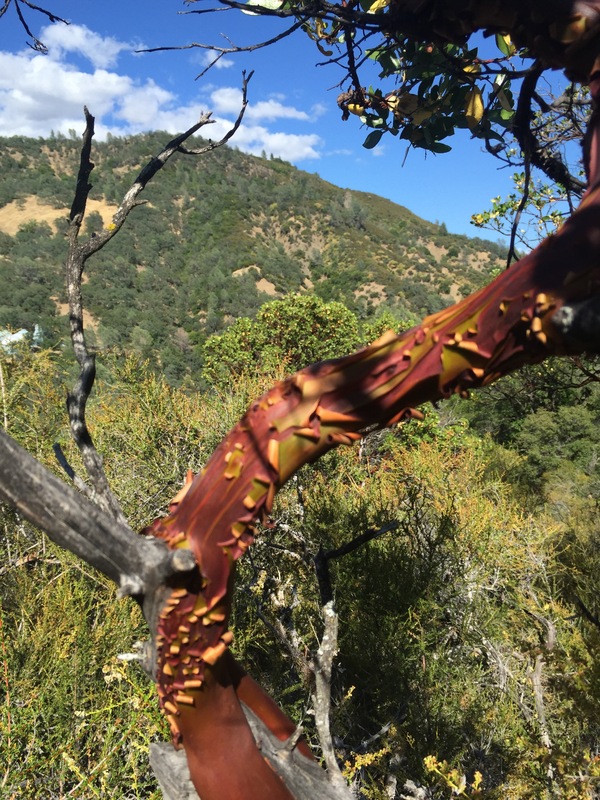 Welcoming me into his journey, his transition, with a smile and a whispered “hello”, it was his kindness that allowed me to access my highest self and connect on a soul level for a brief period. We prayed together, I stroked his magnificent head and laid my hand on his heart. To love freely, without any thought of past or future, is to truly be present and timeless. The gift was all mine. 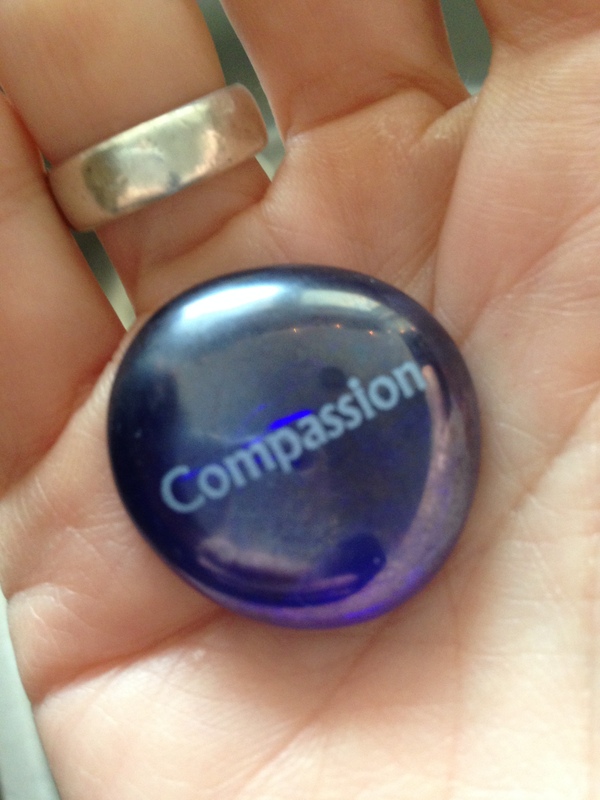 I looked up the definition of compassion and learned that it translates as “suffering together.” And it’s not just about suffering – when we feel compassion, our heart rate slows down, we secrete the “bonding hormone” oxytocin, and regions of the brain linked to empathy, caregiving, and feelings of pleasure light up, which often results in our wanting to approach and care for other people. Compassion generates more compassion. Beautiful. Yesterday I shared a burden with a friend and she cried for me as I could not. I was numb and all cried out. Even though my heart was heavy, seeing the kindness, the compassion, in her eyes, gave me a sense of peace and I felt lighter, less alone. This is something I’ve wanted to write about for a long time and had no idea how to start. It’s about a subject that is sensitive and personal. It’s about Suicide. I personally know a lot of people who have chosen to end their lives. Everyone had different circumstances and methods – some had Aids related dementia, some were chronically ill, others were clinically depressed (despairing in a darkness that no light could reach), some were a complete shock and some were unfortunately hinted at and worried about before the actual deed was carried out. When my mother’s partner Fred was experiencing a soul crushing depression three years ago, I wrote to him and asked him to live for his son and grandchildren – telling him that suicide was not a legacy he would want to leave his grandsons. Advice I gave from personal experience. 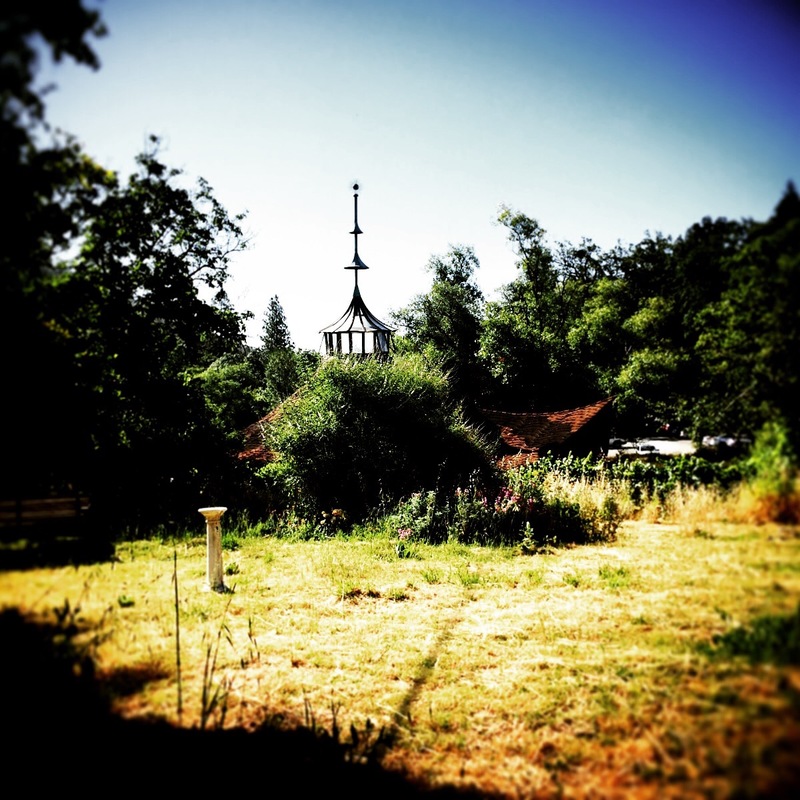 I was 25 when my maternal grandfather hung himself. In his goodbye note he misspelled my mother’s name. He took his life on his wedding anniversary and his body was the first thing that my grandmother saw when she came downstairs to make breakfast. Every night after that, for months, I would wake up at 4am with heart palpitations – hyperventilating, unable to breathe. Only a trip to the emergency room assured me that yes, my heart was strong and I wasn’t dying of a heart attack. Just suffering from an overly sensitive nervous system. I wish I had known then about grief and how it can manifest in the body and how we can experience the phantom symptoms of our loved one’s illness or death. I have no wise insight into why people commit suicide or how I could have prevented anyone I knew from taking their own lives. I do know that the people I knew were in a personal hell that I wouldn’t wish on anyone. I also know that I can’t force anyone to want to live. It doesn’t work that way although I wish it did. Fred hung himself from the garage rafters and my mother found him as she pressed the garage door opener, returning from church. In his note he asked for her forgiveness. He ended his story. It’s been a tough year for me and I haven’t felt able to talk about it much. Mostly because it didn’t feel like my story to tell. My daughter has been struggling with anxiety and depression. At times she’s struggled with wondering what the point of it all is. This has rocked me to my core. She is my heart. My moon. My love. My life. I’ve been stretched to my parenting limits and stretched some more. The gifts that have come from these several months are still unfolding but already I am grateful to experience first-hand the tenderness of strangers, the circle of tribe, the ties of blood, the howling fierceness of mother love, the tempering of my will, and the sweet grace of surreneder. The semi-colon movement was brought to my attention by my husband. The movement is for anyone who has ever self-harmed or has tried to commit suicide. On April 16 they are asking people to draw a semi-colon on their body in solidarity with them. A writer uses a semicolon to continue a sentence and uses a period to finish one. 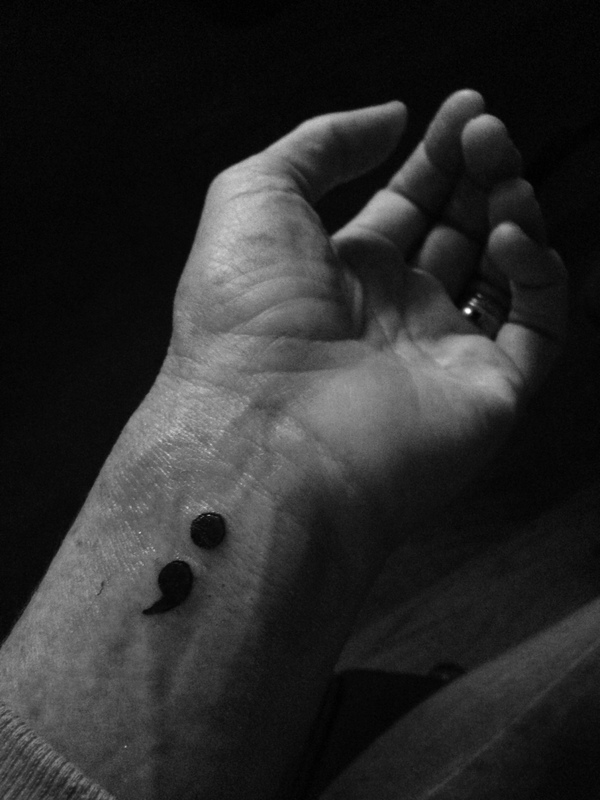 The semicolon is a sign of hope. The sentence doesn’t end here. For Bill, Joe, Ives, John, Sarah, Frank, Stephen, Tim, Mary, Fred, and everyone everywhere who just couldn’t bear one more day and all those who loved them. 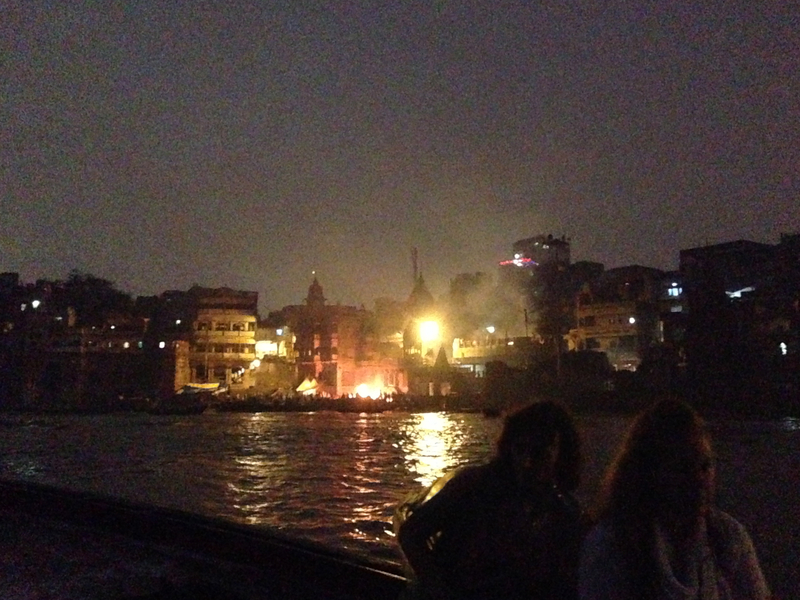 I wrote about bringing Lance’s ashes to Varanasi and how powerful that was for me to release them into the river. 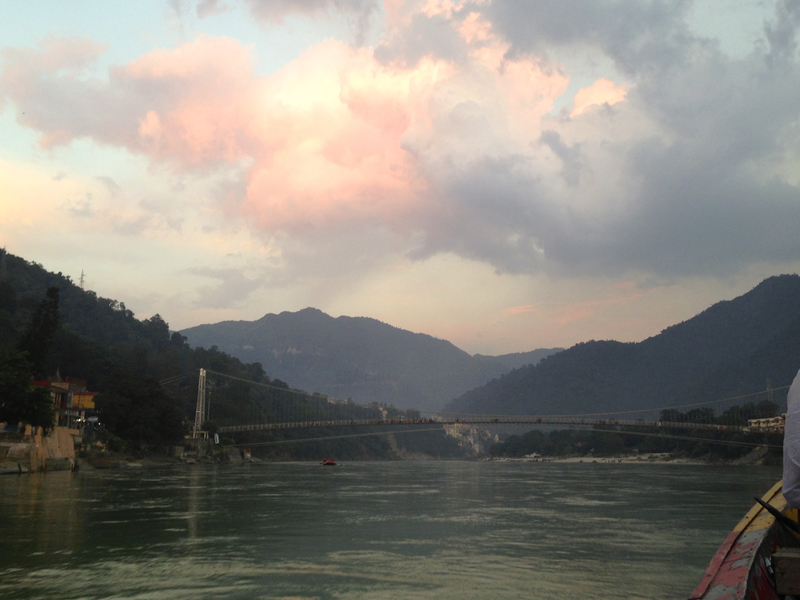 Now on to Rishikesh, a lotus of a place, nestled on the banks of the Ganges, in northern India. The water is cool and clean, with sandy swaths of beach and many ashrams and temples along its edge. There is something very peaceful and sweet about this small city and the slower pace is a welcome retreat. 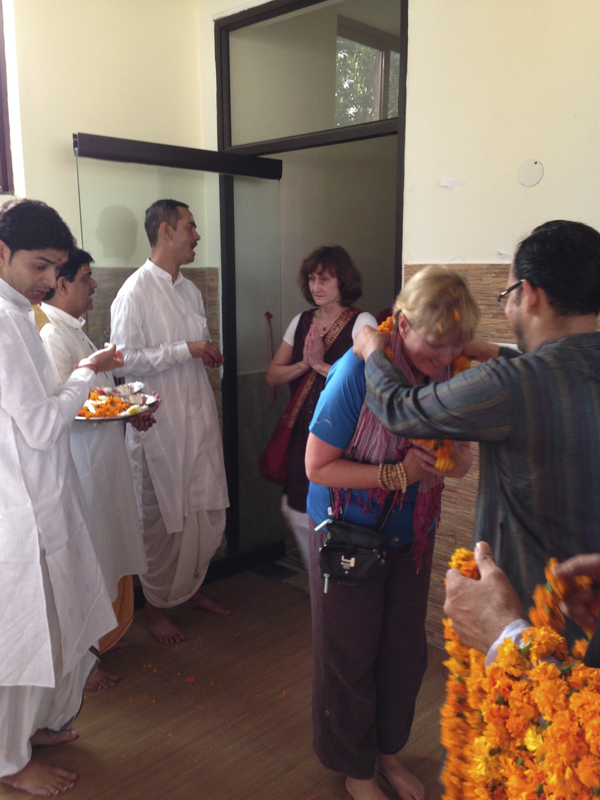 When we arrived at our hotel, our amazing host, Govind Agarwal, had arranged for our group to have a special blessing by priests. 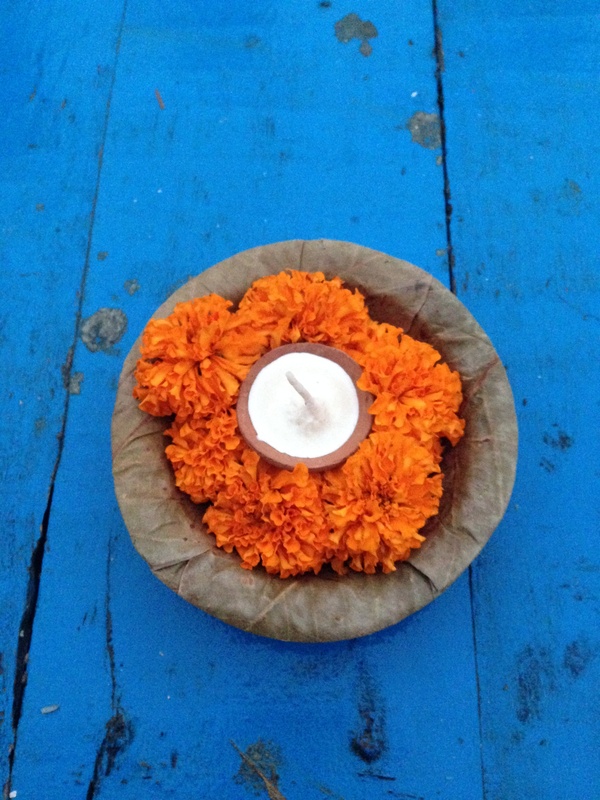 As each of us entered the yoga room, we were given a special necklace of marigolds as the priests chanted. 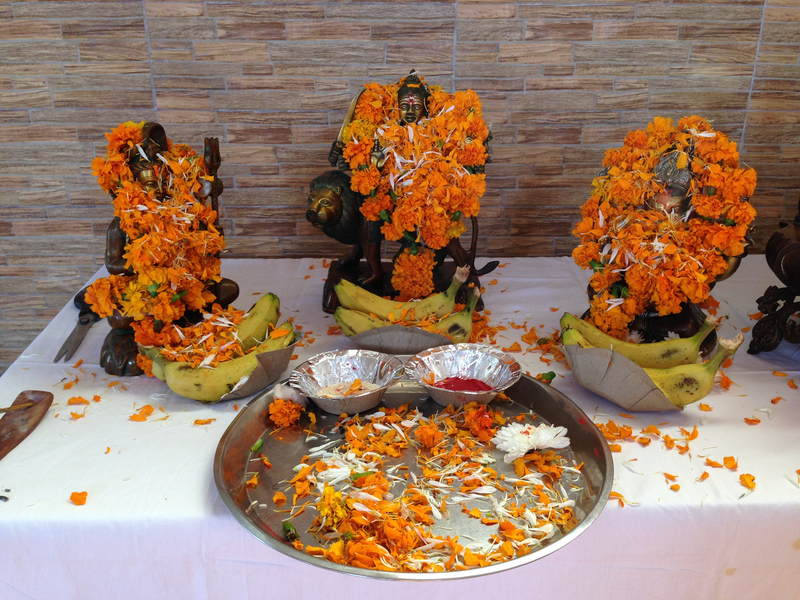 Red paste and grains of rice were put on our foreheads and prayers were offered to Durga (the mother of us all), Ganesha (the remover of all obstacles) and Shiva (Destroyer of Ego and one who sits in deep meditation.) One group member said she felt “home” as soon as she heard the powerful chanting of the priests. 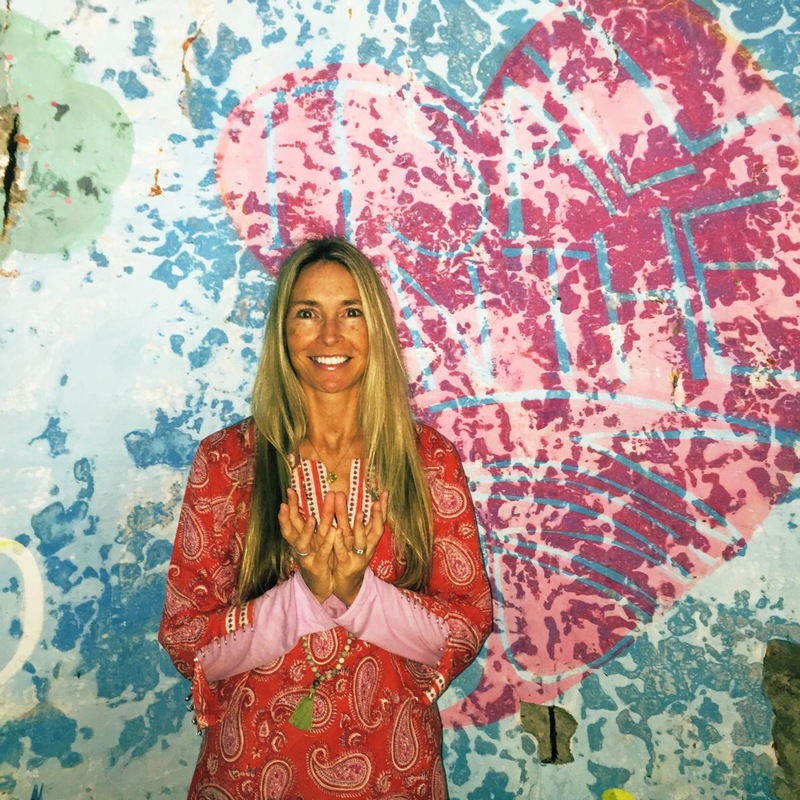 The acoustics of the yoga room made me feel as if the mantras were vibrating through my chest cavity and opening my heart. Have you ever said “yes!” to something because you felt it in your body, even though you had no idea what it was? 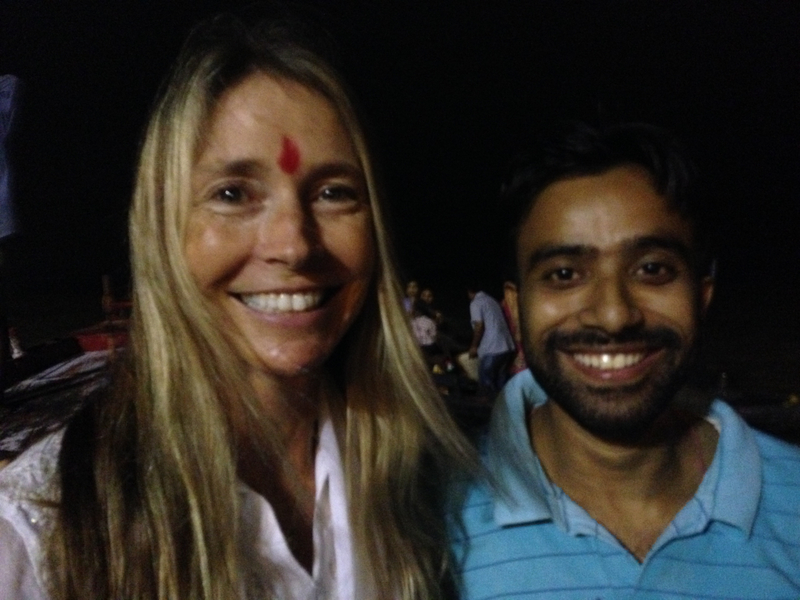 Months ago, back in the US, Govind had suggested having a ceremony for our ancestors on the banks of the Ganges. Ever since he mentioned it, I became instantly attached to having it. In fact, during the entire trip in India, my intention was to cultivate an attitude of surrender in all things, which I accomplished for the most part, but I stubbornly remained attached – like a barnacle on a wooden boat! 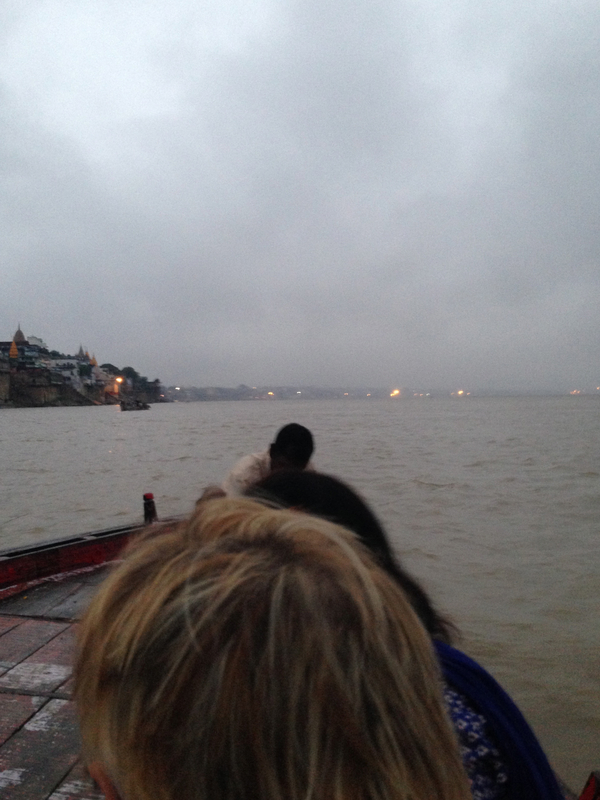 – to 3 things: the sunrise boat ride in Varanasi (which didn’t happen, so obviously I need to go back), the ceremony for our ancestors, and the dipping in the Ganga. The morning of the ceremony, Govind walked us down the marble steps that literally disappear into the river. The 3 priests were waiting for us accompanied by various bathers, curious onlookers and sadhus. We took our seats on the marble, facing the river. The priests put sandalwood paste across our forehead. We offered prayers and offerings to the river, giving thanks for those that had come before us, honoring our lineage and speaking our ancestors’ names aloud. I had brought a small vial with me – the remains of my beloved grandparents ashes – unsure of whether I would be willing to part with the last physical remnants of them. As I prayed, I knew with an inner wisdom that in the releasing of this ash, I was surrendering to the pulse of the universe, letting energy go into the flow of the river. “Harold…Hazel” I said out loud as the priest poured milk into the jar and I tipped it into the river. For the rest of the day, I experienced an uplifting of the spirit that was tangible and a peace I usually only feel after meditating. Days later, Govind’s lovely wife, Bindia, graciously accompanied us to an area of the Ganges where we would dunk in the river. The symbolism differs for everyone, but for me, it was an opportunity to “baptize” myself – to submerge myself 7 times, one for each chakra, in the holy river of unconditional love. To cleanse myself of my sins, and to be born anew. 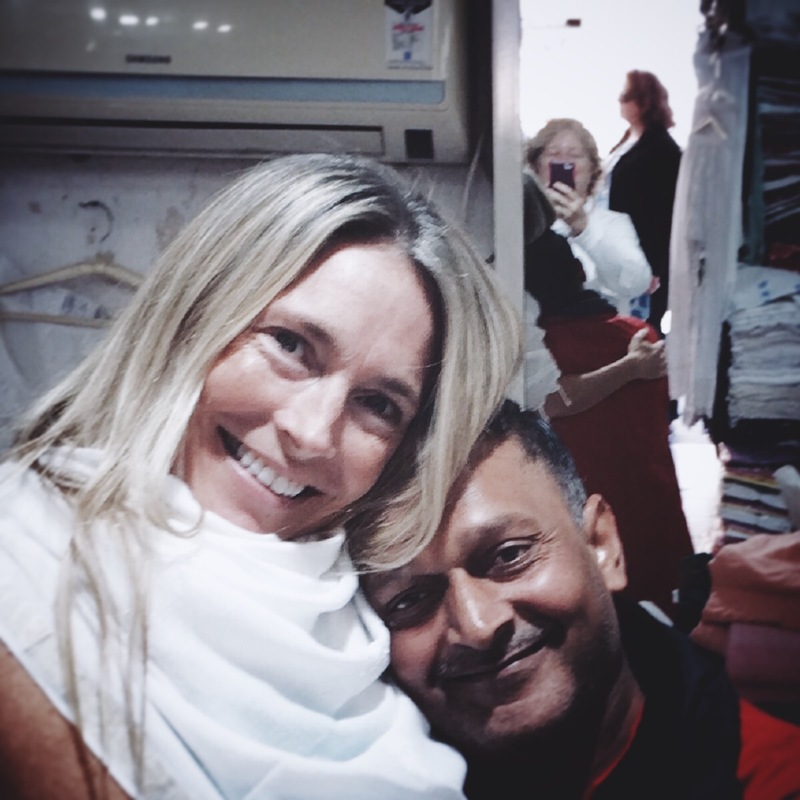 Returning to India, and bringing a group of women to India, had been a dream. Now it was time to recognize that I had realized a dream come true and honor that part in me that had heard the call and said yes to it. To realize that there are endings and also beginnings in a pilgrimage to India. I was consciously saying ‘goodbye’ to aspects of myself, and experiences from the past 2 years. In submerging in the river, I was also saying ‘yes’ to whatever was wishing to be born in me – perhaps aspects or ideas that I am not even aware of yet consciuosly, but the seeds have been planted. Several of us were called to dunk in the river that morning and it was a powerful experience for all of us. Much gratitude to Bindia who held our hands (with teeth chattering!) as each of us took the plunge. Afterwards, we lit incense and made offerings to the river in thanks for her willingness to take us – the shadow and the light – and wash away our impurities and leave us refreshed and renewed. 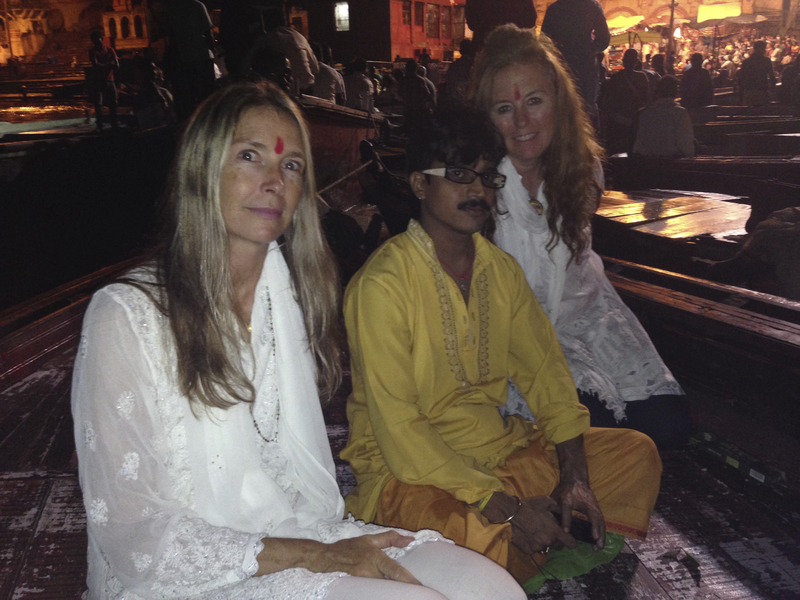 I have so much gratitude for this journey and for all the ways I was able to be in sacred ceremony with the holiest of rivers – Mata Ganga – the Mother Ganges. Sharing these experiences with this group of women has made it more potent for me and these memories live on in my heart and mind. And oh Mother India, I will return! Deep bow. We landed smack dab in the middle of Durga Puja – a celebration of the Goddess Durga – the mother of the universe, mother of us all. What a “coincidence”! The time of Durga Puja is a holy time celebrated throughout all of India. 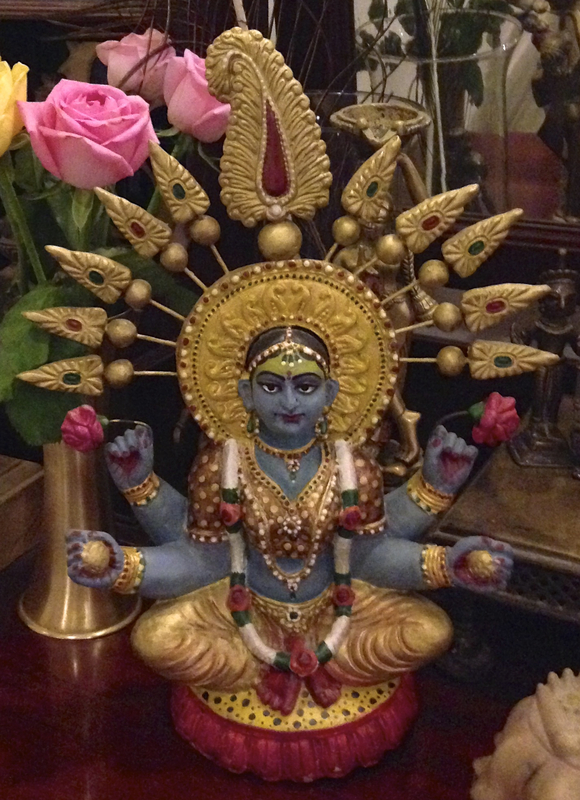 Sculptures made out of clay are formed in her likeness – a powerful woman with 8 arms – and she is honored for several days with parades and dancing in the streets. In Varanasi, the beautiful statues are decorated and worshipped, the streets are clogged with processions down to the river, and Durga is sent off in boats to the middle of the Ganges to be set free in the river, clay returning back to mud. 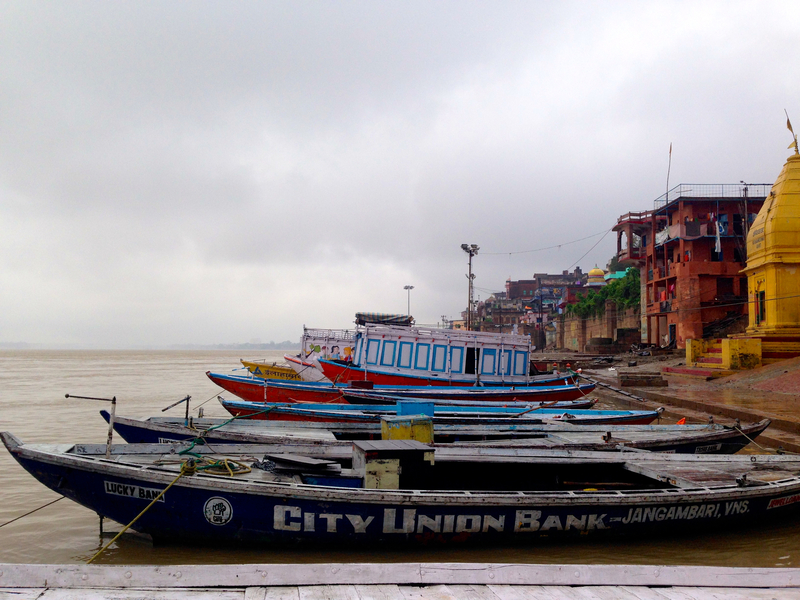 When we arrived in Varanasi, the weather was ominous with frothing white caps on the river that was at a record high and rain lashing at our hotel windows, creating puddles of water that soaked anything left on the floor. The scene was all too familiar for those of us from Colorado. We were dismayed to learn that all boat trips were cancelled indefinitely due to dangerous weather conditions. 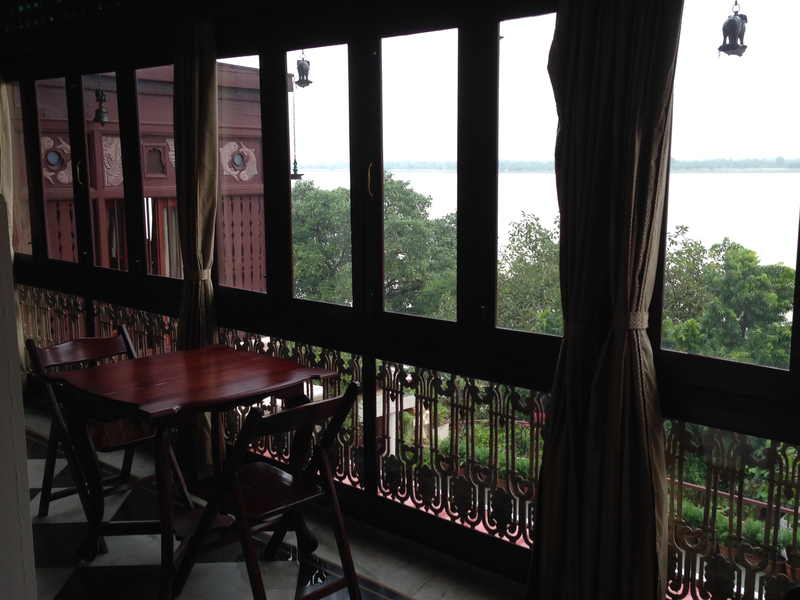 I stared longingly out my hotel window at the river – Mata Ganga – churning wide, brown and swift, wishing to be on it. 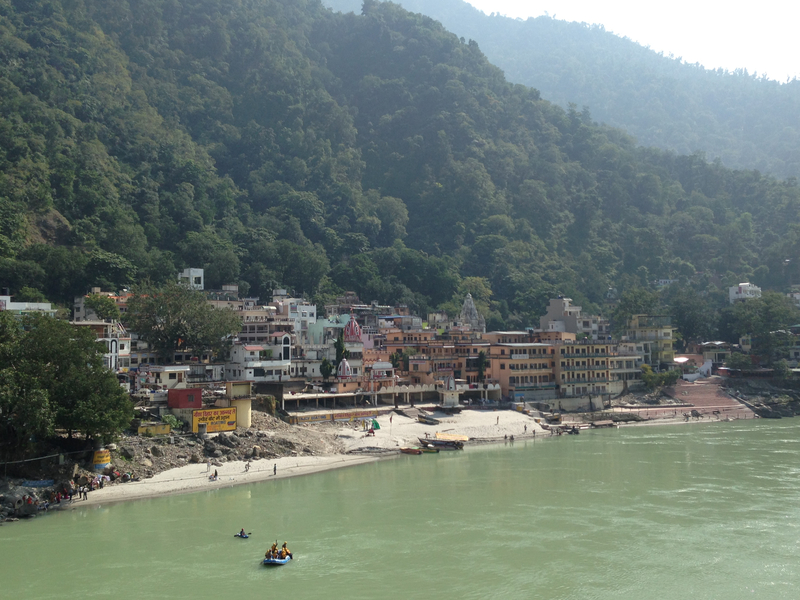 The Ganges is considered one of the holiest rivers for Hindus as well as a goddess: Ganga. Unlike other goddesses, she has no destructive or fearsome aspect, accepting all and forgiving all. It is considered an honor to die at the banks of the Ganges if one is a Hindu, and if that is not possible, to be cremated on her banks with the ashes set free in her current. It was my first time to Varanasi and I had come with the special task of releasing some of my dear friend and world traveler Lance’s ashes into the river. What with the late monsoon floods, and rains from the typoon happening to the East, I was dubious if I would get the chance to fulfill this task. On our last day, we were told that boats could make the trip and we would indeed be able to take our evening ride with a priest (Pujari – one who officiates puja – offerings/ceremony) so that all of us who were releasing ashes (symbolic or otherwise) would be blessed. 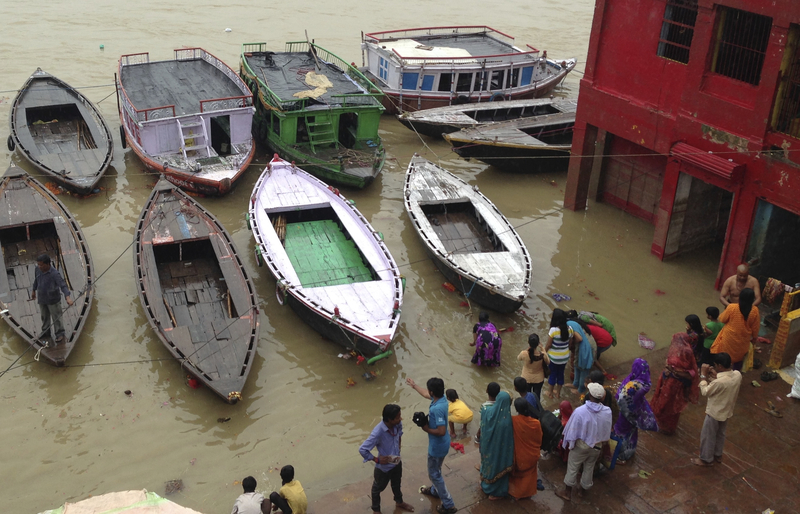 The current had finally died down enough so that the boat motors could power their way back up the river once they had drifted down to the burning ghats (the place of cremation in Varanasi that is at the water’s edge.) Punam told me later that she had prayed “day and night” to make sure we could have our boat ride and I shared that I had been praying too! 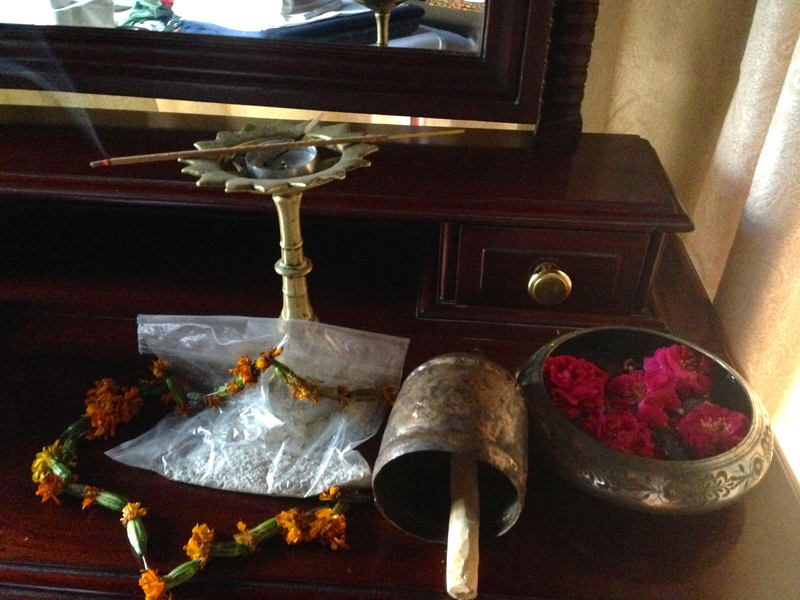 Before I left my room at the hotel, I lit some incense and prayed to be present and open for the ritual I was about to participate in. In some ways, it felt like the end of my journey with Lance. From holding his hand as he slipped into a morphine sleep, to lying with his body in the wee hours of his death, to painting silks that wrapped around his body while he lay in his casket, to honoring his life at his memorial months later, here I was, in a final moment with him, releasing a baggie of ash and bone in India. On the boat, a fresh wave of grief hit me and I sobbed in the dark. The women each held my story about Lance and his family in their hearts and gave me the strength to honor my friend. After my wave of sorrow passed, came a joyful knowing that Lance would have LOVED knowing his ashes were in the Ganges, in a place that had meant so much to he and Nancy. I felt lighter and calm. A nice reminder for me that resistance is really the only thing that causes my suffering.